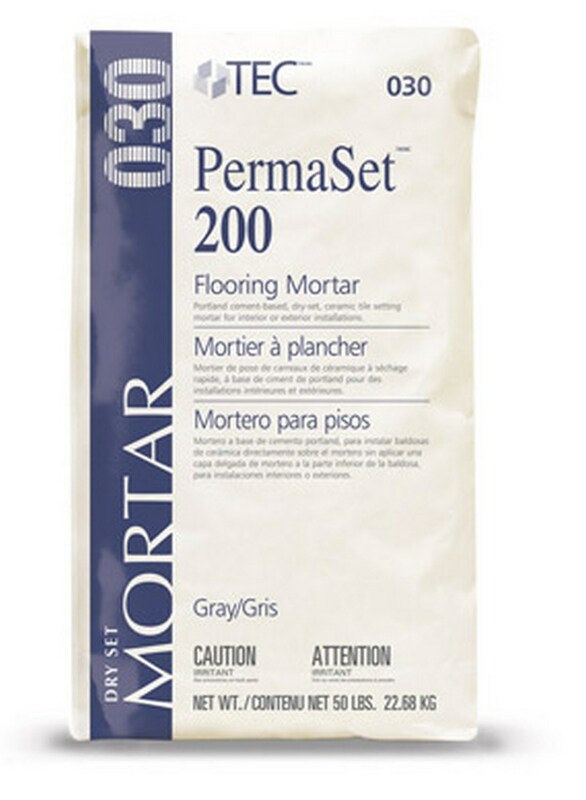 TEC® PermaSet® 200 Mortar is a Portland cement-based, dry-set, ceramic tile setting mortar for interior or exterior installations. 5/32" V notch 150 - 160 sf. Pot Life 4 - 5 hrs. 1/4" x 3/8" x 1/4" 65 - 75 sf. Final Set 9 - 15 hrs.